Throughout the ages, Korean Red Ginseng has been prized as one of the most valuable herbs on earth. It has been consumed by millions of people all over the world. 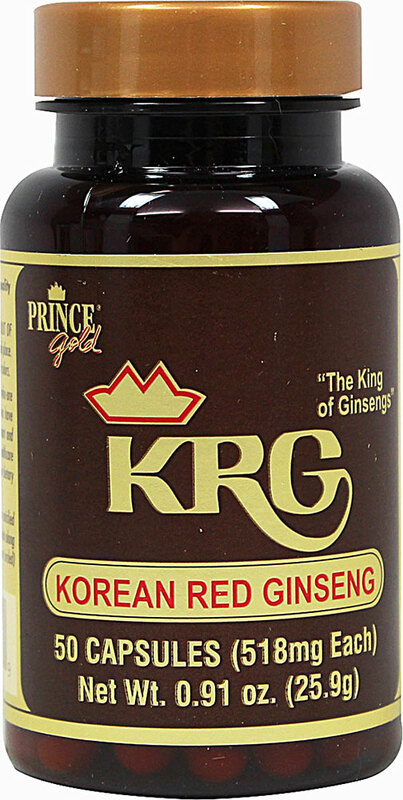 Prince Gold® KRG Korean Red Ginseng roots are harvested from their natural environment of nutrient-rich soil in Korea. Each capsule contains 518 mg of pure Korean Red Ginseng powder, there are no additives or fillers.